WASHINGTON (AP) - President Donald Trump's travel ban has been frozen by the courts, but the White House has promised a new executive order that officials say will address concerns raised by judges that have put the policy on hold. The first order was met by legal challenges, confusion at airports worldwide and mass protests. The White House has forecast smoother sailing the second time around. White House press secretary Sean Spicer predicted "it will be implemented flawlessly" because of the due diligence of officials. But no matter what the new policy says, lawsuits challenging its aims are expected. The White House says it expects to issue a new order next week, though it has not said exactly when. Trump aide Stephen Miller said at a Fox News town hall this week that the new order would be very similar to the first, with "mostly minor technical differences" in response to opinions by judges who have blocked it. He insisted any new order would produce the "same basic policy outcome." The Justice Department has said the Trump administration would be abandoning the original order, which should render moot ongoing court challenges to that order. But the president and the White House press secretary have also recently said that they intend to fight for the merits of the original order in court, even as they draft a replacement. The new order could go into effect immediately and would not be blocked by the court ruling that has kept the existing order on hold, said David Levine, a professor at the University of California, Hastings College of the Law in San Francisco. Levine said new regulations and laws are assumed to be legal until a court says otherwise. "It's valid unless it's invalid," Levine said. CAN WE EXPECT COURT CHALLENGES TO THE NEW ORDER? Almost certainly. For one thing, Washington state and Minnesota, the two states whose lawsuit led to a court order that halted the order, could move quickly for a court order putting any new ban on hold. In refusing this month to reinstate the travel ban, which a judge in Washington state had blocked from taking effect, the San Francisco-based 9th U.S. 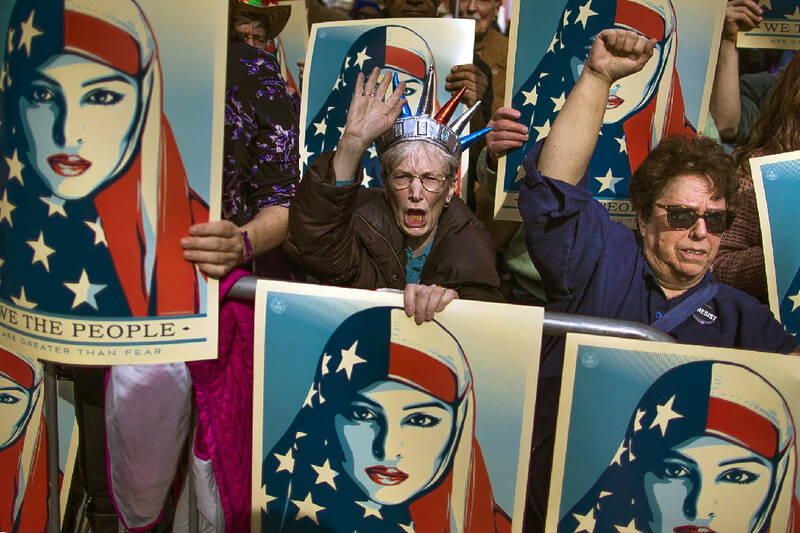 Circuit Court of Appeals identified "significant constitutional questions" with the administration's plan to temporarily suspend the refugee program and to halt immigration from seven Muslim-majority nations. It's hard to imagine a "bulletproof" order that could assuage the concerns of the immigrant rights community and other potential challengers, said Jon Michaels, a UCLA constitutional law professor. "My sense is, there will be challenges, and challenges will be at the very least plausible challenges," Michaels said. A repeat of the chaos that the original order sparked is possible, said Stephen Vladeck, a professor at the University of Texas School of Law. "It will surely be a mess," he said. But the administration insists that won't be the case. Spicer said Thursday the administration has "sought feedback and guidance and done this in an unbelievably comprehensive way to ensure that the departments and agencies that are going to be executing and implanting this fully are aware of what's happening." He said the administration is expecting potential new court challenges, but suggests the White House will be better prepared. WILL THE NEW ONE PASS CONSTITUTIONAL MUSTER? That's hard to say at the moment. The 9th Circuit decision, for instance, said the first order may have violated the constitutional rights of green-card holders to notice and a hearing before their travel was restricted, so any new policy may have to address that concern to be viable. The Justice Department has argued that a ban that exempts green-card holders and focuses only on foreigners from the seven nations who have never entered the U.S. would be entirely legal. But the court said Washington state and Minnesota might have a valid claim that even some of those foreigners have a constitutional right to challenge the ban. Foreigners outside the United States have, at best, limited rights to sue in U.S. courts. A narrowly tailored ban that focused on foreigners from the seven countries who have never entered the U.S. would also not do away with the states' concern that the administration is illegally targeting people on the basis of religion. The First Amendment's establishment clause bars favoritism or discrimination on the basis of religion. To beat the religious discrimination argument, the government may also have to overcome statements outside of court by Trump and aides, including former New York Mayor Rudy Giuliani. Challengers of the ban have held those statements up as evidence of discriminatory intent. The statements include Giuliani's claim that Trump had asked him how to legally pull off a "Muslim ban," and Trump's own interview statements that Christian refugees had been disadvantaged. The 9th Circuit did not fully address the issue in its order, but did note that courts assessing the motive of a government action can take into account statements by decision-makers. Those statements hinting at intent may prove hard to dispose of even if the policy changes, said Chris Edelson, an expert on presidential power at American University in Washington, D.C.
"If the administration says, 'Hey, we want to have a ban that applies to the people from these seven countries,' what I would tell the administration is, 'OK, we can try, but there's a possibility the courts say that there's a constitutional problem here,'" he said. WHAT MIGHT HAPPEN TO THE EXISTING CHALLENGES? If the original executive order is formally rescinded and replaced, as is the prerogative of a president, then lawsuits challenging it would be effectively nullified as the focus turns to the new policy, legal experts say. Even so, arguments made by lawyers for Washington state and Minnesota that appeared to sway the 9th Circuit could easily be recycled in another or amended legal challenge. But it may not be that easy for the administration to escape the shadow of the current challenge before the 9th Circuit, said Simona Grossi, an expert in federal court procedure at Loyola Law School in Los Angeles. The new order would have to be free of the constitutional problems raised by the original order and the administration would also have to show that the original order will not be resurrected in the future, she said.